Welcome to another Friday Feels where I share what I’m “feeling” this week. This post contains affiliate links. I went to Target yesterday and the only thing I bought was a toothbrush. I actually went there and about a zillion other stores to look at fall home decor. So far, I’m coming up empty! I didn’t really decorate for fall inside last year because we were still unpacking, but I’m excited to be joining in on some fall tours this year. I mean, I’ll be excited when I come up with some ideas of what to do, ha! I think my problem is that I’m not a huge fan of orange, so fall decor puts me on the struggle bus every year. I also have kept this house a lot less cluttered than our previous house. I just like the clean lines and open space. I’m sure I’ll figure something out, or there will be a single photo of a pumpkin sitting on my coffee table for a very minimalist fall tour… Enough rambling, I just thought I would share that I don’t always have it figured out over here. So I don’t feel like a total fall failure, I thought I would share a pic of last year’s fall front porch in case you missed it last year. And my window boxes…brainstorming these too! Ok, the other thing I’m feeling this week, besides fall, is back to school organizing! I thought I would share a few tips I’ve used that are working out for me. I’m trying to teach our kids to be more responsible for their schedule and stuff without me constantly reminding them. So, I made them a few different charts this year and stuck them in their lockers. I made one reminding them of their after school chores. These are all the things that have to be done before they get screen time. 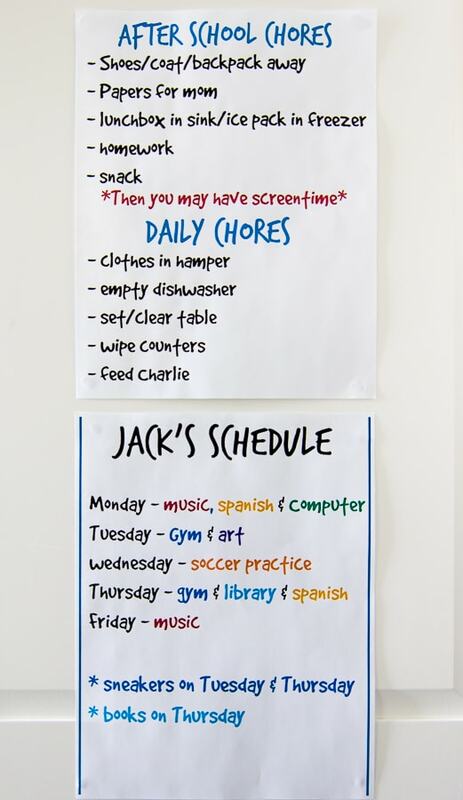 I also added a reminder of their daily chores at the bottom. 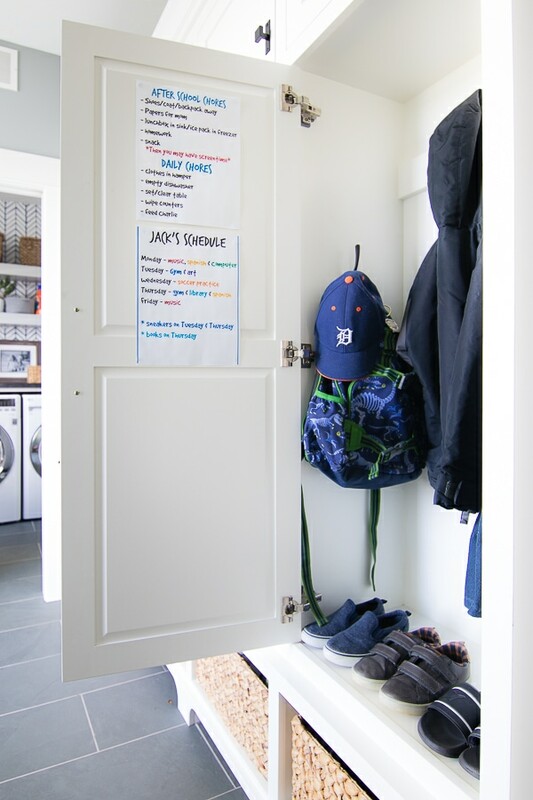 I talk more about chore charts and how we handle allowance/money in this post here if you are interested. The other chart I made is their weekly schedule at school. I just added all their special classes that may require gyms shoes, instruments or library books going to school with them. For the first few weeks I’m reminding them to check their charts, but I’m hoping it becomes autopilot eventually. The other thing I do to keep the mornings sane around here is pack their lunches at night. 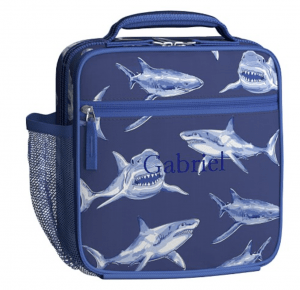 I like these Pottery Barn Kids Classic lunch boxes with the Spencer Bento box inserts. My son has this cute shark one. I have been using the Classic style bag since my daughter started kindergarten and we still have her first bento box. They are great quality and last forever (she is in 5th grade now). I buy them a new outer cover every year or two, and I buy a bento box every year, so now I have 6 of the boxes that I can rotate through (3 for my son, 3 for my daughter) if I don’t get to the dishes. 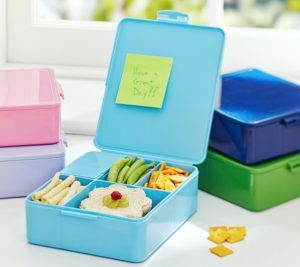 I like them because I don’t need to waist disposable baggies and the compartments are actually big enough to fit a sandwich unlike some of the bento boxes I’ve seen with too small compartments. And no, I do not cut their sandwiches into flowers like the above pic ha! I would have snapped photos of their lunches if I had been thinking of it before they left today. Last up, I wanted to update you on the sweater blazer from J.Crew I talked about a few weeks ago. It finally arrived and I’m obsessed! So obsessed that I just snagged it in grey too! It’s on major sale right now, I nabbed it for $87 yesterday. Here’s how it looks on. One tip – size down if you want a more fitted look, I’m wearing an xxs. Find your’s here and use the code BIGSALE at checkout. I paired it with one of my absolute fave t-shirts from Madewell. I think I have one in every color. I’m patiently awaiting some cooler weather so I can throw this blazer on all the time! 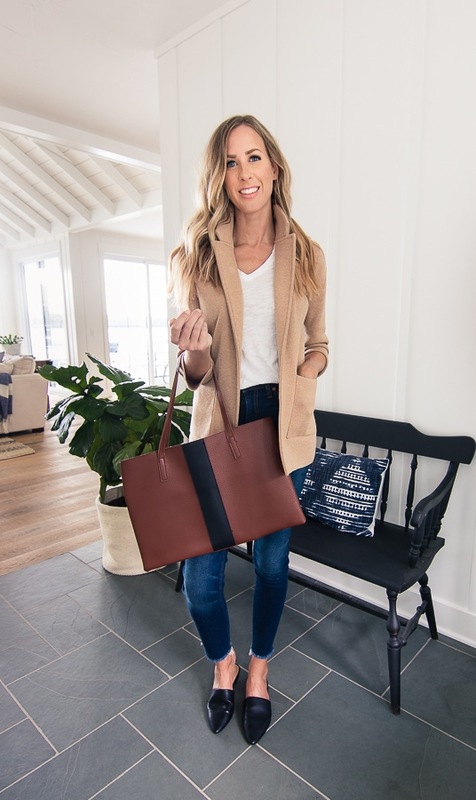 Oh, and this cute Vince Camuto Tote is from the Fall Fab Fit Fun box (if you follow me on instgram you maybe saw me post about it), but you can use the code LILYPAD to get $10 off your first box if you want to try it out – it’s so fun! Here’s to surviving the first week of back to school! My kids have today off and we are ready to enjoy a long weekend before we are back at it next week. Happy long weekend! Great little post. Went to the link for the jeans and love those! You’re pretty tall, so just wanted to check and see if you have the regular or long length jeans? I like where those hit and I’m tall too… didn’t know if I should go with Regular length or Long. Hey Bekah! I’m 5’9 and I’m wearing a 25 long, they are my new go to jeans for fall! Yeah for teaching kids responsibility! 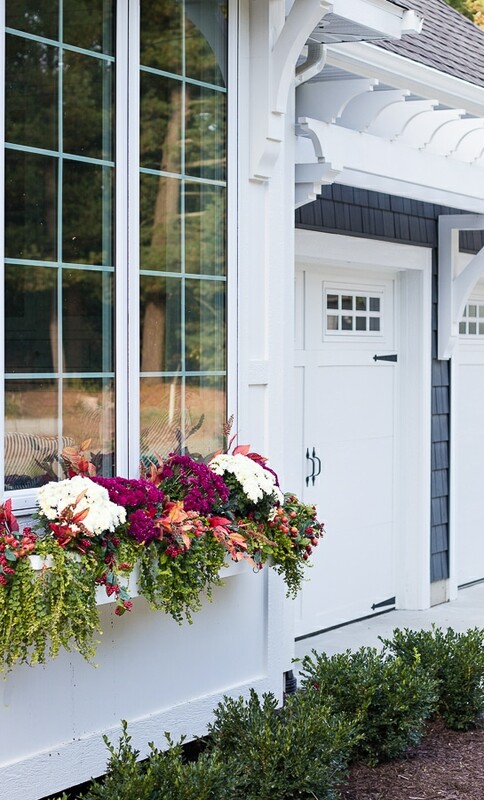 Is the siding on your house fiber cement or vinyl? What manufacturer did you go with and what is the name of the color. I am saving for the re-siding of my house (which is quite large) and I am in the market getting ideas and pricing. 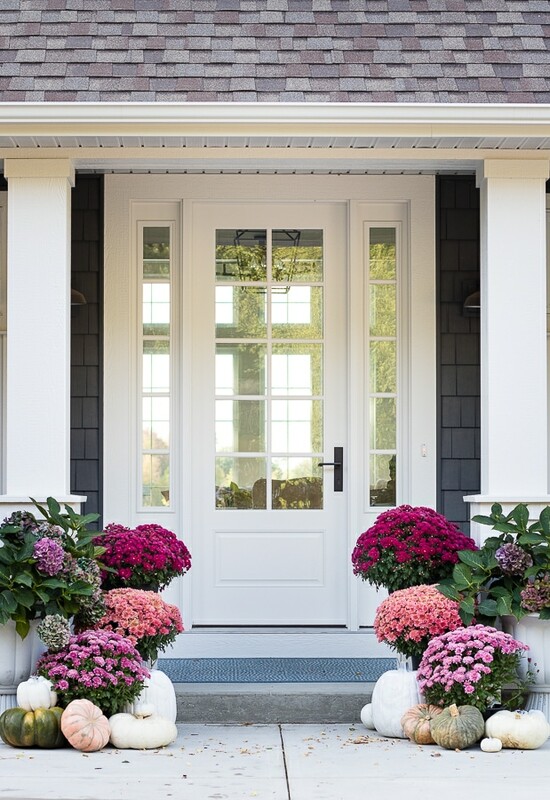 I absolutely love the look of your home. It’s vinyl shake by Mastic the color is Natural Slate – thanks! We are currently building a house. We have a brick home but the front porch is cedar shakes. I think I saw that you have some cedar shakes too. I am asking this question a little too late (since ours are already up) but are they difficult to care for? I did ask before they went up but the builder said they “should” be no problem. Not feeling confident in that answer. Also, what is your wood on your hardwood floor? I love the color. Our is white oak and looks like yours but it is not finished yet. We are putting a clear coat on it but the sample spot makes it look a little brown. I like that too but expected it to look more like yours does. How do you clean your hardwood floors? I am scared of harming them. Sorry if I past the limit for questions. If I can choose just one question, I will go with the cleaning hardwood question. Our shake is actually vinyl shake siding so I don’t have any tips on real cedar shake. Our floors are engineered hardwood so they came just like this so no help there either ha! I just vacuum my floors and use a very barely damp norwex mop on them. Thanks! In response to your comments about decorating for fall & not loving orange. If you go to shopterrain.com you will find some blue felted pumpkins. I think they would look great with your decor!